Quantitative Easing Reversal or Balance Sheet Rollback- No problem! Rising probability of an Interest Rate Hike in December - No Problem! "Rocket Man" Vs "Dotard" - No Problem! Tax Cuts are now on the anvil, and that's a bigger deal for the market as all major indexes approach or record new all-time highs, including the lagging small-cap Russell 2000 index. 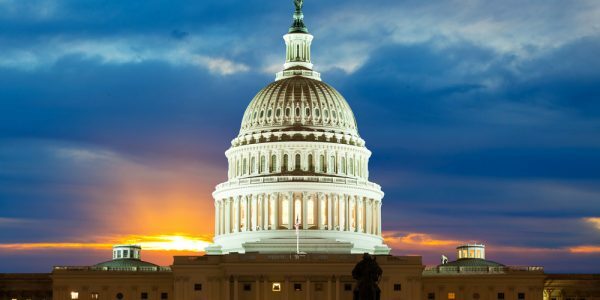 The market has been waiting long for this moment when the legislative focus turns towards tax reform. For the next two weeks, till the third quarter earnings season begins, news on the tax reform will exert a driving influence on the market direction. 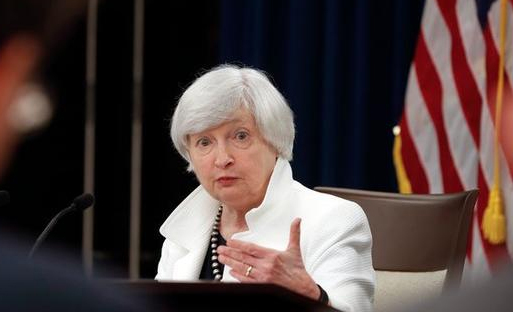 The stock market received a fairly unequivocal suggestion this week from the Federal Reserve Chair Janet Yellen that the interest rate path appears to be what has been outlined in the projections, and the final interest rate hike for the year, most likely in December, remains on the table. In our earlier report Will The Federal Reserve Send The Market Higher, we had mentioned that a combination of quantitative easing rollback and an interest rate increase within a short span of time can elevate market risk, due to unanticipated risks of a rollback, and the possibility of over-tightening thus causing an economic slowdown. It seems the judgment of the Chair remains supportive of another rate increase, although it will be data-dependent. There is a growing chorus of voices at the Federal Open Markets Committee (FOMC) espousing a more patient approach - which means deferring the December rate increase. But that has not swayed Chair Yellen yet. While the monetary policy is sharpening, the risks to the stock market are not yet magnified enough to change the overarching market trend from a bull to a bear. There remains an elevated risk period in October as balance sheet rollback begins and ripples through the financial system. However, the offset to this risk over the near-term are the tax cuts on the congressional agenda. The best thing coming from the fizzling out of the effort to repeal-and-replace Obamacare is that it clears the decks for a full focus on tax reform. It may be called as Tax Reform, but the stock market is more concerned with Tax Cuts and Tax Holidays. A corporate tax cut boosts earnings, which support higher valuations. An individual income tax cut boosts disposable income and consequently consumer spending, which is good for the economy. In addition, large corporations are looking forward to a Tax Holiday, which can trigger a repatriation of hundreds of billions of dollars of overseas cash deposits at a lower tax rate, which can provide the companies with the flexibility to initiate buybacks, increase the dividend, and engage in higher M&A activity. In other words, a tonic for the bull market. Will the tax cuts pass? The stakes are high for the Republican party to do something after about a year of control but no legislation. In addition, President Trump's wildcard option of striking deals with the Democrats can exert uncomfortable pressure within Republican ranks, which can limit dissent and align their numbers. But there is a cost. The argument for tax cuts which do not balloon the deficit has yet to be articulated. Most likely such an argument doesn't exist. The market is also anticipating a tax holiday for repatriation of some portion of the $2.6 trillion offshore earnings stockpile. Investment bank Goldman Sachs has forecasted that U.S. firms can repatriate $250 billion of their overseas cash in 2018 if a tax reform package is approved. The tax cuts being proposed will probably get modified. The debate whether a potential economic growth surge will be sufficient to offset a surge in the deficit will become more intense. But in the end, there will be a tax cut bill that will pass into a statute most likely by early 2018. The small caps have played out this year sitting on the bench. As of Aug 31, 2017, the small-cap Russell 2000 index (IWM) had eked out an underwhelming +4% gain for the year. The Graycell Small Cap portfolio was up +36%. This compares with the larger cap performance of +10% for the S&P 500 (SPY), and +19% for Nasdaq Composite (QQQ). Thus far in September, the small caps have begun to outperform the larger peers as the Russell 2000 index leaped +6%. Since small caps represent a more speculative segment of the stock market, a healthy risk appetite is an overall positive sign and indicative that the market remains in a risk-on mode. Biotechs, which are mostly in the small and mid-cap space, continue to show an upward bias with a four-week consolidation near the highs as represented by the Nasdaq Biotechnology Index (IBB) and the S&P Biotechnology Index (XBI). While small cap Biotechs continue to live by their creed of boom or doom based on the binary outcomes of trial results, there is undoubtedly enhanced interest in the sector and multiple reasons for the sector to perform strongly, including a paradigmatic shift, as discussed in the article Biotech Bonanza: A Key Piece Falls In Place. There are difficult outcomes in biotechnology, as recently experienced by Intercept Pharmaceuticals (ICPT), Axovant Sciences (AXON), and Genocea Biosciences (GNCA), as well as successful ones, such as those experienced by Kite Pharma (KITE), MyoKardia (MYOK), and Alnylam Pharmaceuticals (ALNY). Allocations to a mix of varying degrees of speculative biotech companies should be part of a growth-oriented portfolio in the present environment. Some of the promising biotech and small-cap companies that can be considered for a portfolio include Celgene (NASDAQ:CELG), Puma Biotechnology (PBYI), Alnylam Pharmaceuticals (ALNY), Acadia Pharmaceuticals (ACAD), Bluebird (NASDAQ:BLUE), Aerie Pharmaceuticals (NASDAQ:AERI), Novocure (NASDAQ:NVCR), Foundation Medicine (NASDAQ:FMI), Exact Sciences (NASDAQ:EXAS), Dynavax (DVAX), Amicus Therapeutics (FOLD), Arena Pharmaceuticals (ARNA), Myokardia (MYOK), Esperion Therapeutics (ESPR), Glycomimetics (NASDAQ:GLYC), Akebia Therapeutics (NASDAQ:AKBA), Loxo Therapeutics (NASDAQ:LOXO), Portola Pharmaceuticals (PTLA), Sangamo Biosciences (SGMO), Abeona Therapeutics (ABEO), Kronos Worldwide (KRO), Kemet (KEM), Weight Watchers (WTW) and Chegg (CHGG). We believe that October will see some elevated risk due to the initiation of the balance sheet rollback program by the Federal Reserve, and thereafter a rate increase about two months later. Heading into September, we were 90% invested in our Graycell Small Cap portfolio and fully invested in the Prudent Biotech Portfolio. However, the glow of a major tax cut bill may offset the monetary policy related risk for the near-term. The market remains in an uptrend and even though a correction can occur anytime, a bear market is presently not a foreseeable event as recently explained in the article Partial Eclipse, But Not A Total One.